Broomfield Dental Clinic Campaign against Tooth Loss | Smile Logic, Inc.
A Broomfield dental hygiene clinic in Colorado is seriously campaigning against the ill-effects of “sugar-free” beverages. The Broomfield dental clinic’s concern is brought about by the spike of dental problems that they have seen in the past years. While cavity protection was given notable attention by the American Dental Association and other similar health organizations all over the world, another cause of tooth loss needed more tending. Dental erosion or the gradual deterioration of our teeth’s enamel due to the acid in purportedly sugarless sodas, energy drinks and candies have taken over the number of patients with other tooth disorders. Out of 130 teenagers in the US, about 41% have lost a tooth due to enamel erosion. Floss before brushing to remove bits of food lodged in between teeth. The food particles turn into acid when mixed with saliva in the mouth over a period of time. Rinse your mouth with water after eating. Brush an hour later. Use a soft-bristled toothbrush. Hard bristles may cut your gums and cause canker sores. Use fluoride toothpaste to help strengthen teeth. Take Calcium supplement to keep teeth and bones stronger. Consider use of an oral probiotic to reintroduce good bacteria into your mouth. Take acidic drinks with food to reduce the corrosive effects of the acid on the teeth’s enamel. Reduce if not stop completely your consumption of sweets and acidic foods and energy beverages. Stop smoking and using all types of tobacco. Side effects include stain, discoloration and a direct correlation with oral cancers. 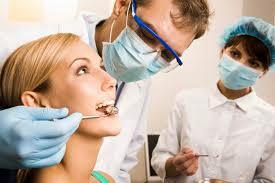 Visit your Broomfield Co dental hygienist regularly for preventative dental care and don’t ignore dental conditions. Although genetics play an important part in the overall health of our teeth, poor oral hygiene can aggravate the problem. Advertisements of “sugar-free” beverages don’t help and can be misleading and may trick buyers in consuming more than what is safe for their health. Get professional advice from your Broomfield Colorado dental hygienist who is more than willing to provide you with the correct information on oral care. It is best to develop the good habit of brushing at a young age. Our teeth may be strong like the bones in our body but it can become porous and weak over time from abuse and neglect.